How does the energy market in Ireland work? Are they any prices support mechanisms for Wind Energy? Who can/do I sell my wind to? The Single Electricity Market Operator (SEMO) operates a all-island electricity market for Ireland. All electricity is centrally traded through a pool system where licensed generators sell their electricity to a licensed supplier who sells it onto the pool, and receives a single market price (SMP). The Trading and Settlement Code (TSC) outlines the rules for remuneration for payment for availability to increase generation should the grid operator instruct them to. Actual power flows between NI and the ROI are limited in physical terms but the single market price is calculated and adjusted using data across borders. In terms of the rules governing the electricity market in ROI, The Commission for Energy Regulation is the state authority responsible. There are in fact two electricity markets in operation in Ireland; the wholesale market (governed by the Trading and Settlement Code) and the retail market for suppliers, again controlled by the CER. Generators enter into an agreement with suppliers who sell the electricity on their behalf to the retail market (i.e. domestic and commercial users). The electricity market prices are set by the Single Market Operator (SEMO). Prices are published on half-hourly basis and are calculated after the event. The price is a single market price for electricity and is based on many different factors, however the predominant influence is the cost of the energy used for that period. In periods of high demand, such as the usual daily 5p.m-7p.m peak, the market price rises sharply, as more expensive "peaker" generators are used to satisfy the peak in demand. These "peaker" generators run on more expensive fuel sources such as oil and diesel. The main reason that the electricity market is so complicated is because it has to deliver market signals to electricity generators in 48 different time periods a day, in order to constantly increase and decrease electricity supply to instantaneously meet the constantly changing demand. Ensuring security of supply requires carefully planning the dispatch of all generators, (the amount of electricity they generate and load onto the grid). Inadequate dispatch would result in outages and have serious consequences for hospitals, manufacturers and other consumers. Apart from being an extremely costly waste of resources, excessive generation could overload the grid causing significant damage. The market also has to have mechanisms to compensate generators when the actual dispatched energy is lower then the energy they were scheduled to dispatch and to pay generators for their availability to generate when required. Yes, the current scheme in operation in the Republic of Ireland for the support of wind energy is REFIT, the Renewable Energy Feed-in-Tariff. This scheme provides a guaranteed reference price for renewable energy for the suppliers with an additional payment of 15 % of the reference price. The full details of the scheme can be viewed here. The support scheme in Northern Ireland for renewable generators is a system of redeemable Renewable Obligation Certificates or ROCs. Some of the older and established wind farms in the Republic of Ireland are still being supported under the terms of the older Alternative Energy Requirement Scheme. The REFIT market support scheme is a complicated support system and there are a lot of detailed administrative issues involved. Additionally suppliers also have to handle the all the sale and dispatch administration with the grid operator. When the generator enters into a power purchase agreement with a supplier all of these issues are managed by the supplier. Since the REFIT provides a guarantee for the supplier of a certain price, this incentivises competition between the suppliers to enter PPAs with generators in order to benefit from the REFIT. In this way, those generators who just want to generate and receive a price for it can do so without having to be unnecessarily burdened with high cost administration. This is a much more efficient system than requiring every generator in the country to deal with and finance such high level administration. The presence of numerous suppliers in the market should have the effect of delivering a fair price for the generator, with the supplier reaping the benefit of the REFIT. Under the terms of the Trading and Settlement Code, if you are a generator with a wind farm which has a maximum export capacity of less then 10 MW, then you have the two options. You can either register your unit and sell your energy directly into the pool or you can enter into a contractual power purchase agreement (PPA) with a electricity supplier to sell the electricity to the pool on your behalf. There are pros and cons to both arrangements and the option which will suit a generator best will depend on their own specific circumstances, such as the amount of risk they can tolerate and the terms attached to their finance agreement. 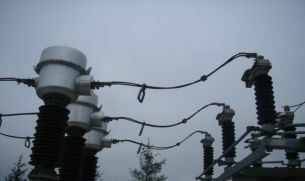 If you are a generator with a wind farm which has a maximum export capacity of greater then 10 MW, then you are obliged to register your unit onto the electricity pool and comply with the relevant requirements, however you may still enter into a PPA with a supplier to sell that energy on your behalf. However, should you decide to contract with an electricity supplier here are a number of different licensed suppliers in Ireland. Energy Payment- The market price per MW sold per half hour. Capacity Payments - Compensation for being available to generate upon instruction from the grid operator. Constraint Payments - Compensation for being constrained from exporting your scheduled amount of energy onto the system (due to grid stability issues). Typically when a generator contracts with a supplier, a condition of the agreement is that the generator nominates the supplier as their intermediary. This means that the supplier then takes on the risk associated with the market and then receives all the payments stated above for the sale of the electricity to the market. The generator would then only receive the contracted PPA* price for their energy. *There are other balancing and imperfection charges and payments etc.. but these are relatively small in comparison.